Each year, the Humaneitarian Awards recognize people in Marion and Polk counties who are doing positive work for our four-legged friends. 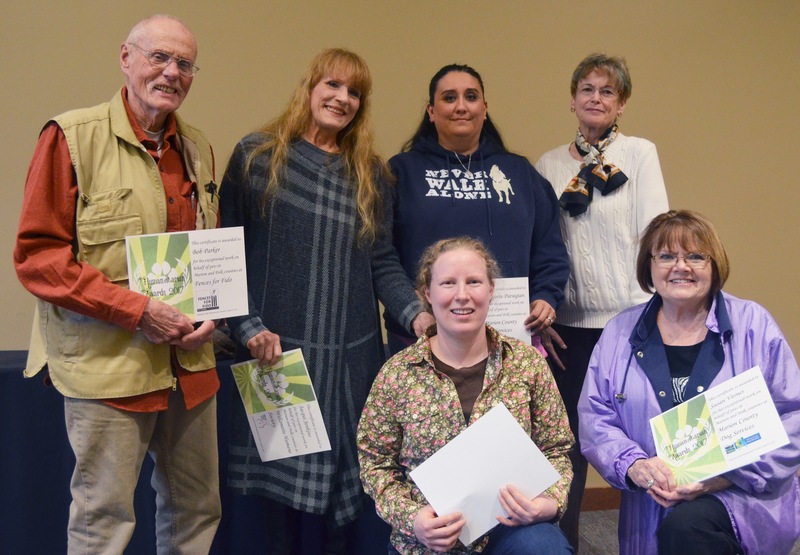 Recipients of the 2017 awards were recognized at the 11th annual Humaneitarian Awards reception on Tuesday, April 25 at Roth’s Fresh Market in West Salem. 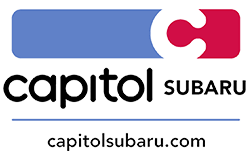 Attending organizations included Operation Safe Canine Animal Rescue (OSCAR), Fences for Fido, Marion County Dog Services, Salem Dogs, Salem Friends of Felines and Willamette Humane Society. Thank you to Roth’s Fresh Markets and Salem Electric for sponsoring the reception! Ayla Priller, Willamette Humane Society volunteer, is known as a regular face around the shelter—evidence of her ongoing support and passion for animals. Her peers note that Ayla puts “everything she has” into her role as a volunteer and furthering the shelter mission. Betsy Bode, Willamette Humane Society’s Operations Director, has only been with the organization for a short time, but the local community already sees the “incredible change” she has brought. She is recognized for her ongoing support of shelter staff and WHS’ mission. Caroline Patton, Willamette Humane Society volunteer, is an essential force of good. Peers recognize her willingness to help across the organization, from being a walk shift leader to helping train kennel buddies. Chelsea Rock, Willamette Humane Society’s Behavior and Training Coordinator, was nominated for her “incredible commitment to improving the lives of animals.” She serves as a dedicated advocate to animals, a trusted resource to pet owners, and an impactful teacher to her clients. Glenna Unfred, Willamette Humane Society volunteer, is a true cheerleader and advocate for animals in need. Peers recognize her hard work on behalf of both cats and dogs, volunteering enthusiastically as a kennel buddy, adoption ambassador, and more. Greg Kirby, part of the shelter’s Animal Welfare Team, is known among his peers for his initiative, compassion, and gentle approach in working with both pets and people. “Every organization should have an employee like Greg,” one nominator wrote about him. Hilda Angell, Willamette Humane Society’s Loss and Bereavement Professional, has been described as a “hero” and a “wonderful representative” of WHS. She is known for her bright, warm, and welcoming persona. Jacqui Jenkins, Willamette Humane Society volunteer, has offered countless hours and her expertise in holistic healing to improving the shelter experience for cats and dogs. She is described as a true “animal whisperer.” Jacqui was the volunteer recipient of this year’s Humaneitarian Award. Jean Dion, Willamette Humane Society volunteer, is recognized as a dedicated and inspirational part of the WHS community. She lends her talents as a writer and blogger to help long-term shelter residents find their perfect forever homes. Jolene Jones, Willamette Humane Society volunteer, arrives for each dog walking shift with a unique energy and enthusiasm known across the shelter. She is described as a great role model and champion for our four-legged friends. Jolene Foster, Willamette Humane Society volunteer, has helped animals in so many different capacities, including dog walking, fostering, and mentoring new volunteers. She is described by her peers as a “wonderful, giving, dedicated person” who exemplifies what it means to be a WHS volunteer. Judy Windholz, Willamette Humane Society volunteer, is known for her reliability, dedication, and ongoing service around the shelter. She is a true advocate of the shelter’s mission both during her volunteer shifts as well as in daily life. Kim Angle, Willamette Humane Society volunteer, opened up her heart, as well as her home, to animals as a shelter volunteer and foster. Kim has welcomed more than 1,300 foster pets into her home since 2014. She now mentors new foster families. Linda Crosby, Willamette Humane Society volunteer, is known for her genuine compassion for working with shelter dogs. From walking dogs to helping during doggy playgroup, peers say that Linda is always willing to lend a paw. Linda Leek, Willamette Humane Society volunteer, is recognized for her dedication and skill working directly with our four-legged residents as a dog walker. Her peers note a drive to go above and beyond—working extra shifts, sharing her expertise, and more. Marilyn Scahill, Willamette Humane Society volunteer, can often be found in the shelter’s photo room, capturing our adorable kittens on camera. With more than 700 hours of service, Marilyn is a true advocate for felines and helping them find their forever homes. Marilyn Harrison, Willamette Humane Society volunteer, is described as an uplifting and inspiring presence at the shelter. Her gentle and caring approach to caring for adoptable cats is truly unique. Mindy Frenwrick, Willamette Humane Society volunteer, is often the welcoming face to shelter visitors. Her outstanding customer service and vast knowledge of the shelter is an irreplaceable asset to the shelter. Regan Hillesland, Willamette Humane Society volunteer, works regularly as a friend and cheerleader the shelter’s feline residents. Fellow volunteers describe her as an example of gentleness, compassionate, and loving care. Rosa Schroen, part of the shelter’s Animal Welfare Team, is recognized for nine years of dedication, hard work and true passion for the animals WHS serves. Rosa was the employee recipient of this year’s Humaneitarian Award. Did you miss the 2017 Humaneitarian Awards in person? You can watch the full event replay for free thanks to CCTV Salem!